Kyoto is famous for its culture, history and natural landscapes. There are also various souvenirs unique to Kyoto that embody the best of the Japanese spirit. Here are some of the best souvenirs you to get for your family and friends when in Kyoto! Kyoto Yoshinoya is a Wagashi (traditional Japanese sweets) store that opened in 1925. There are various Wagashi available at Yoshinoya and among them is the Otogi Zoji where different types of Wagashi are sold in a box. The Otogi Zoji are available in boxes of 9, 15 and 30. 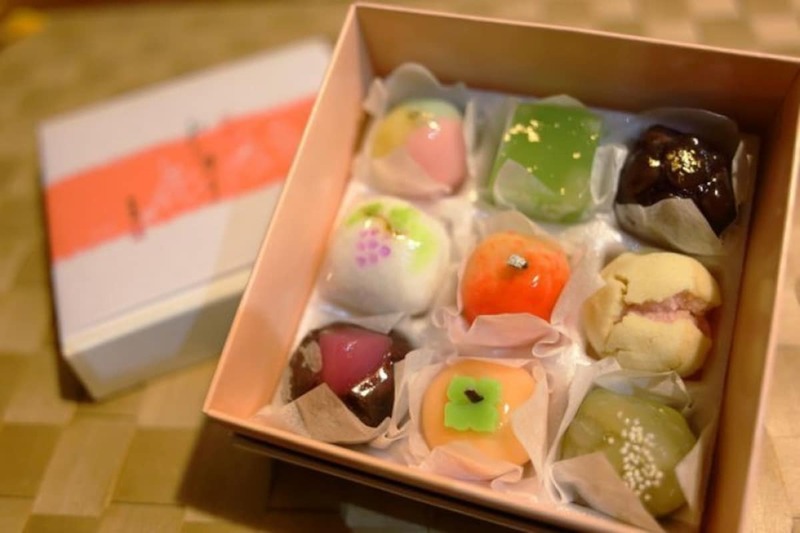 There are also other boxes with 16, 32 or 48 Wagashi inside. These Wagashi are designed to represent the nature in Japan. Cute and delicious, they are perfect as Kyoto souvenirs! Takanoya Sadahiro is a Wagashi store that sells various sweets that illustrate the 4 seasons of Japan. From cute designs such as rabbits to beautiful ones like maple leaves, about 50 choices of Wagashi are available at Takanoya Sadahiro. The Hananoyoi box set allows you to choose any 15 Wagashi. These colourful sweets will definitely be loved by children and they have an expiry date of up to one month, making them perfect as souvenirs. Malebranche is a café in Kyoto where you can enjoy various sweets such as soft cream and parfaits. There are also numerous souvenirs available there and one of the most famous ones is the Chanoka. Sandwiched between two Matcha flavoured Lang de Chat is a layer of white chocolate. The fantastic harmony of bitter biscuit and sweet white chocolate is fantastic! This gift is exclusive to Kyoto and will certainly be loved by your friends. Aozashikarari is a sweets store which is located in Kyoto Isetan building. It is most famous for the "Aozashikarari", a cracker filled with paste. There are various flavours such as curry, Kinako (toasted soy bean) and the acclaimed Matcha flavour. There is also an Aozashikarari branch in Osaka, but this Matcha flavour is exclusive to Kyoto so make sure you get it there! Hayashi Mansyodo is a store opened in 1874 and their fantastic roasted chestnuts have been satisfying customers for over 140 years. The Tenshin Amaguri from Hayashi Mansyodo is served in a small bag and this portable sweet is great for a snack. 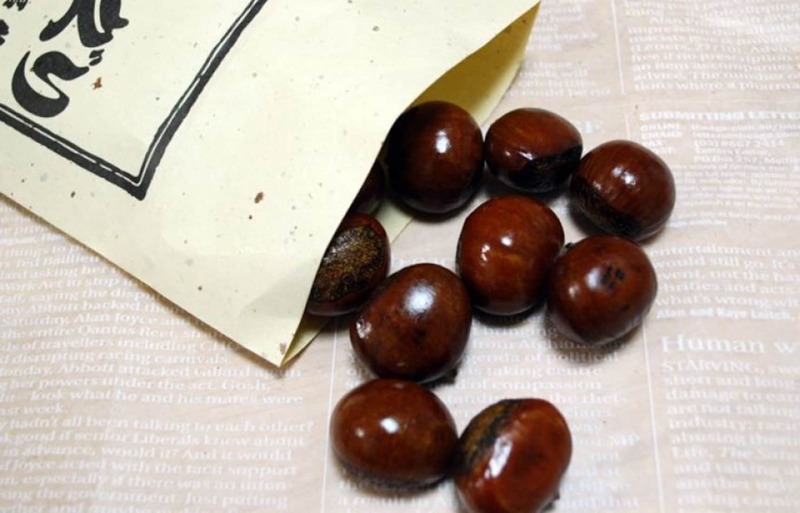 It is also a great choice as a souvenir as you can heat the entire bag up with a microwave, allowing the roasted chestnut to be as good as fresh! The Yatsuhashi is one of the snacks representing Kyoto and is a sweet made from rice flour and cinnamon. The soft skin of the Yatsuhashi is filled with various pastes. Shogoin Yatsuhashi Main Branch is a shop which was opened in 1689 and the amazing recipe has been maintained over the years. There are various flavours including red beans, cocoa and one of the famous flavours available is chocolate.